You want that advanced level of Spanish so bad you can taste it. You’re going after it with everything you’ve got. 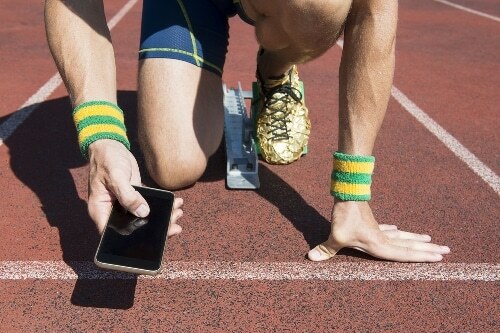 You’re ready to face the many hurdles intermediate learners run up against. You’re willing to do whatever it takes to reach your goal. Fortunately, though, it doesn’t all have to be blood, sweat and tears! With modern technology around, making yourself suffer for hours over a textbook every day just isn’t necessary. You can make this middle stretch of the language learning journey much easier on yourself by enlisting some helpful online resources. Why Learn Intermediate Spanish Online? Learning online is convenient, fun and inexpensive. Who doesn’t have access to a computer, cell phone or tablet these days? We carry them with us everywhere. It makes learning online incredibly convenient and flexible. Just turn on your device when you’re on the subway, waiting for your coffee or simply have a little downtime, and you can learn while abating your boredom! 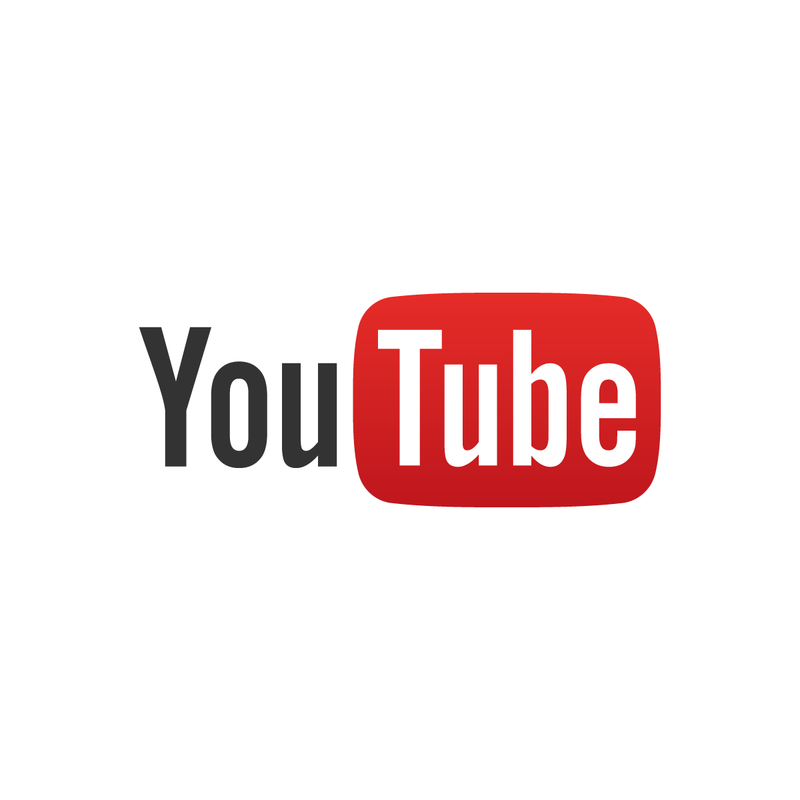 If you enjoy watching videos, you can. Prefer playing games? That’s available, too. Since web developers know that users might have short attention spans, sites are usually designed to pull you in by making things entertaining. Additionally, learning online is usually very inexpensive if not entirely free. If you buy a textbook, it can cost over $100. Take a college course? That could be thousands! But there are plenty of inexpensive and free websites available that will give you the same information. All you have to do is know where to start. You can carry on everyday topics of conversation and start understanding and progressively using more specialized vocabulary. When you read, you can usually understand the basic idea, but not all the words and conjugations. You’re working on different types of conjugations, such as past tenses (preterite, imperfect, pluscuamperfecto), future tense and conditional. You have a good idea of subjunctive tenses (although you may still not feel completely comfortable using them). Determining your level does not have to take hours of self-reflection. Instead, why not try taking this online test from LivingSpanish.com to find out how you rank? There are tests for all levels here, and they even show you how far along you are within the level. This will be helpful information to remember as you refer to the resources available below. Why? Learning Spanish on YouTube can be fun and easy. For intermediate learners, it often helps to hear more spoken Spanish. This is useful in improving your pronunciation and listening skills. Additionally, just watching the way someone’s mouth moves while they speak Spanish will help you improve your own skills. How? There is plenty of Spanish on YouTube. If you want to just listen and enjoy, you can search for the phrase “en español” (in Spanish) along with other words. For instance, “cartoons en español” will give you several options. However, if you are interested in focusing directly on learning, you can try the helpful channels listed below. Señor Jordan offers videos for beginning to intermediate learners. For intermediate learners, the level III/IV videos are best. Scroll down on the main page to find them. Better still, you can look around and find lessons on whatever grammar rules you find most challenging. YouTuber Freddy Ratm also offers some helpful videos. Why not try watching his animated series “The Spanish Show for Intermediate Spanish Learners”? Web Spanish is another useful tool. And best of all, most of their stuff is at an intermediate level. Its lessons can help you learn etiquette, jokes or even police terminology (just in case you get into trouble on your next trip to Mexico). Professor Jason offers over 30 intermediate level videos, formatted as helpful lessons. If you are looking to perfect your grammar, this will come in handy. SpanishDict offers leveled videos. Intermediate learners should start at Level Two. If this is too easy, try moving up. Why? 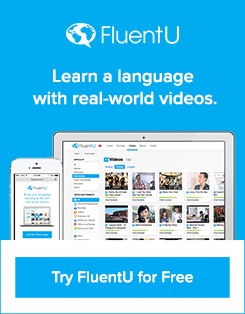 FluentU is your guide through the best authentic Spanish video content out there. 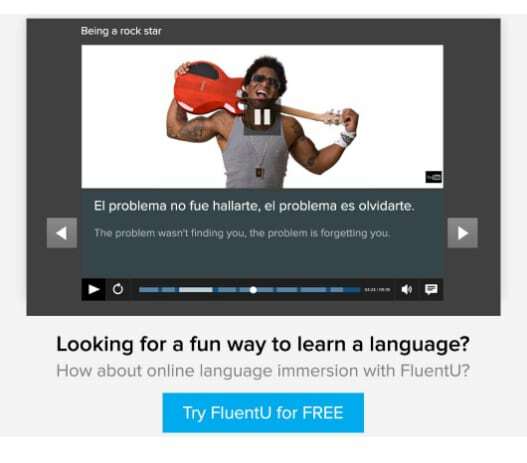 FluentU is unique among language learning sites in that it takes real-world videos—like music videos, movie trailers, news and inspiring talks—and turns them into personalized language learning lessons. This means that the content isn’t constructed specifically to teach you Spanish, but it is selected and modified with your learning in mind. 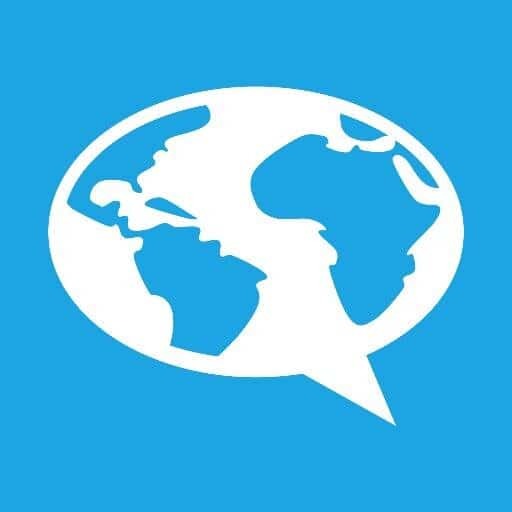 It’s taken from the same stuff native speakers watch every day and made accessible to you. Because all the videos are divided up by level, you’ll be able to easily find intermediate material that’s right for you. Each video comes with interactive subtitles that help you easily find the meaning of every word, so you don’t have to waste time looking them up. How? For a low monthly fee, you’ll get an endless stream of fun and useful content that will help you skyrocket to advanced in no time. Just sign up, change your settings to the appropriate level and start watching fun videos! Recommendations: Take the 15-day free trial today and start using FluentU on the website or download the App from iTunes or the Google Play store and bring FluentU’s innovative language-learning experience to your iOS and Android device. Why? Spanish podcasts are convenient for listening practice. With a good set of headphones, you can listen to them while you work, study or just relax. For intermediate learners, this is a helpful way to incorporate into your everyday life the learning that is important to take your Spanish to the advanced level. How? Just tune in and listen. You can try taking notes to learn more. Some websites even offer worksheets (though usually at a charge). podcastsinspanish.org offers free leveled podcasts. Level 2 is considered intermediate. SpanishPod101 by Innovative Language is well known by any language learner who’s searched the internet for materials to study with. It boasts over 1,600 audio and video lessons accompanied by interactive learning materials and transcripts—and many of these materials are perfect for intermediate to advanced Spanish learners. Victor’s Adventures in Spain focuses on the style of Spanish spoken in Spain, which is rarely the focus of American education. Based on what you determine your level of Spanish to be, you’ll want to listen to the early intermediate or advanced intermediate podcasts. You can listen to some audio for free, or purchase the book and/or help sheets. Spanish Obsessed focuses on speaking slowly and clearly to make listening easier for you. Subjects range from travel to hobbies, so there is plenty of unique content to help you learn new vocabulary along with grammar. Why? Taking a Spanish course online can be more convenient than going to a classroom, but its more structured approach to learning offers similar benefits. For intermediate learners, this is helpful because you can work on the precise areas you are struggling with. How? Online Spanish courses are usually clearly laid out. You can go through the course in the suggested order, or you can go through based on what you think you need the most work on. Fluent Spanish Academy was specifically designed—by famous polyglot Olly Richards—to boost intermediate Spanish learners up to fluency using short stories, live coaching, community forums, goal setting and progress tracking. Practical Spanish offers an intermediate level course for free. Just go through the lessons, study the material and listen to the helpful audio, and your Spanish will improve in no time. Livemocha offers a free intermediate Spanish course focusing on Mexican Spanish. All you have to do is register and start learning! A free Spanish course from MIT? Yes, please! You won’t get college credit (or a grade), but you can follow the syllabus and download free materials. Try starting at Spanish II. Look over the syllabus. If it seems too familiar, level III might be better for you. Otherwise, why not try specialized courses in topics like oral communication, composition, history and literature? Why? Exercises are another helpful way to go back and perfect the areas you are still struggling with. Having trouble with a certain conjugation? Use an exercise to help get it down pat. How? Websites usually list the exercises by what they focus on. For instance, certain types of conjugations or certain sets of vocabulary. All you have to do is select what you want to work on. A user from Bowdoin College compiled a list of hundreds of exercises for intermediate to advanced learners. Some activities are even printable. While they are grouped by subject rather than level, it is still a helpful resource. And worse case scenario: You accidentally choose an advanced exercise. If it is too hard, try another exercise. If you can do it, maybe you’re advancing more quickly than you thought! LingQ is an online Spanish learning program with a huge diversity of Spanish materials and practice exercises. If you’d like to experiment with lots of different ways to practice Spanish, start here. TODO-CLARO.COM (all clear) offers free online exercises in grammar, culture, daily situations and vocabulary. Just be sure to click the “intermediate” tab on the left side of the screen to see all the site has to offer. Why? For intermediate learners, reading is important. You already have the basic building blocks to become fluent, but applying what you’ve learned will help you achieve fluency. Additionally, the more you read, the more you’ll start to understand what you are reading without needing to translate in your head. How? While you’re reading, pay particular attention to the verb tenses, dissecting each conjugation. Try to start thinking in Spanish as you read rather than translating. This is important for fluency. You can also jot down words and look them up to improve your vocabulary, then reread the book. You’ll get a lot more out of it this way! onlinechildrensbooksforever.com offers free children’s books online. Children’s books might seem juvenile or like they are just for beginners, but many of these are surprisingly complex. For a beginning learner, these books would actually be too hard—the vocabulary is usually too broad and the verb conjugations too complex. But for intermediate learners, it’s a good segue into reading more advanced books. Plus, let’s face facts—they’re pretty cute. The International Children’s Digital Library also offers a number of children’s books. Try looking at the age listing on the left hand side of the screen. Start with the lowest level for three to five year olds. As your Spanish improves, try more advanced books. This site is particularly helpful since you can find an appropriate level regardless of your skills. Project Gutenberg also offers free Spanish-language books online. A lot of these will probably be too advanced, but you can always test out your progress by giving one a try. One great option that has more familiar vocabulary for intermediate learners is “Novelas y teatro” (“Novels and Theater”) by Cervantes. Why? BuzzFeed is great for intermediate learners. While much of the writing is on the advanced side, it’s not as dense as in books, and the writing is usually interspersed with pictures that will help give you context clues to the meaning. How? Open an article and try to read it. If you don’t know a word, look at the corresponding picture. If you still can’t guess, try looking it up in a dictionary. 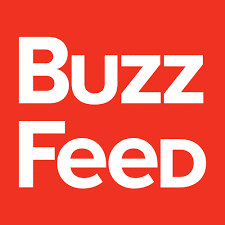 Recommendations: There is only one BuzzFeed, and this is it. Why? Playing games can help you learn valuable language skills. After all your beginning coursework, you might be experiencing a bit of fatigue. Playing a game is a good way to change things up and help you improve your skills in a fun, engaging way. How? The games will usually walk you through all the learning, so all you need to do is play. Digital Dialects offers Spanish verb games that will certainly take your grammar to the next level. Hello World offers over 700 free games. Try the logic problems. By putting the focus on logic (but in Spanish), you’ll start thinking in Spanish rather than merely translating in your head. Spanish Games is another good option you can use for free. When you launch it, though, be sure to change the setting to “intermediate” since it starts out on “beginner” otherwise. With all these resources, learning intermediate Spanish online is fun and easy.